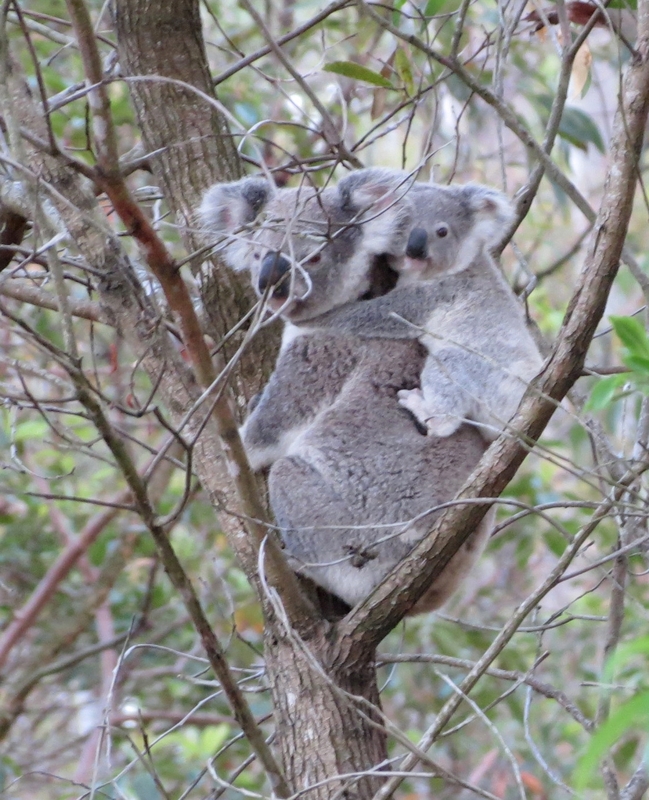 We know that Koalas are breeding on Mt Gravatt. We are getting regular reports of sightings from all around the mountain and I have even woken to find a young male climbing onto the deck at night. However, today, our Rover Street Bushcare co-ordinator, Brett Dugdale, shared something I have never seen before: a mother and joey together. 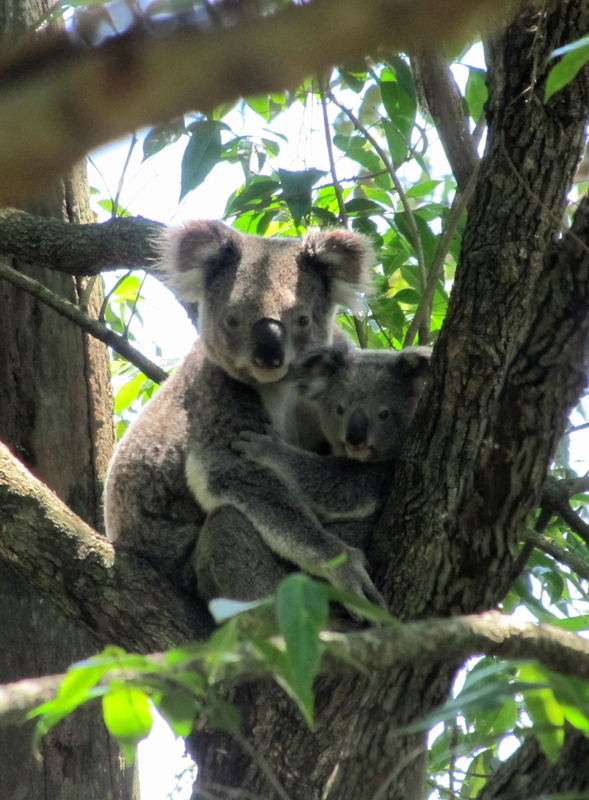 In Mt Gravatt we live only ten kilometres from Brisbane CBD and we have Koalas in our “backyard”. As a community we are stewards of a truly unique piece of Australian bush habitat. I am honoured to know Brett. 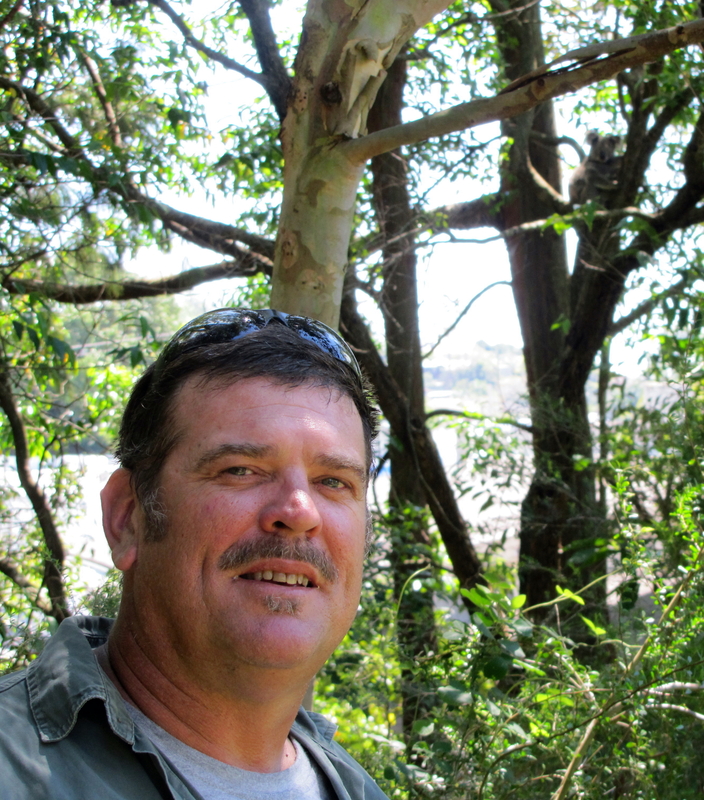 He is not only passionate about protecting and restoring the mountain habitat; he also brings a wealth of practical restoration experience gained working with Bulimba Creek Catchment Co-ordinating Committee (B4C). 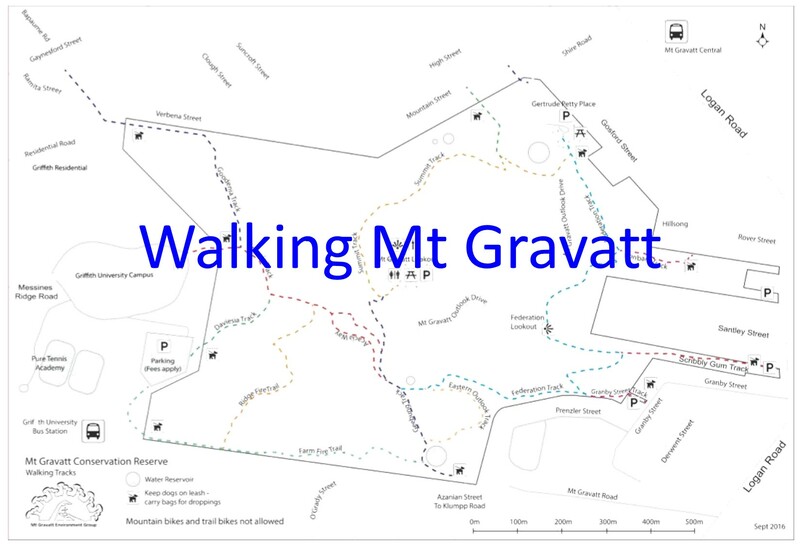 Brett notes that the Brisbane City Council fox eradication program – seven foxes have been removed from Mt Gravatt Reserve in the last twelve months – is having a positive effect on the mountain wildlife. However, as Koala numbers increase, conflict with domestic pets will become an increasing problem: a young Koalawas attacked by a dog in a local backyard last week. 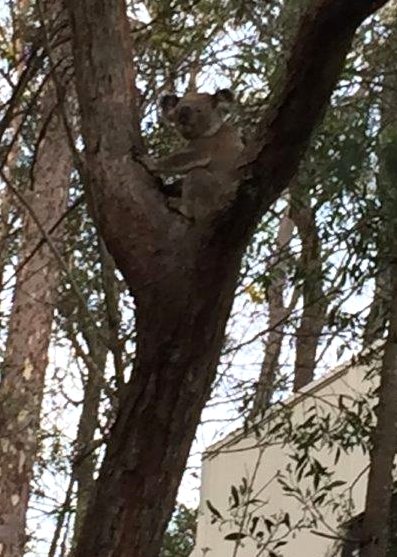 That lucky Koala was OK after being checked out by RSPCA vets and returned to the mountain. 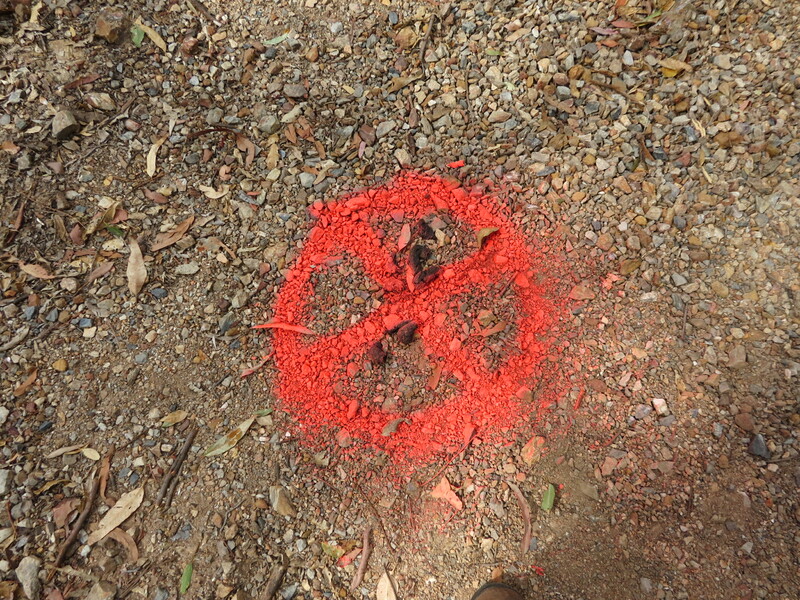 Please keep your dogs on-leash when walking in the Reserve and of course carry bags for dog droppings. Koalas tend to avoid areas where they can smell dog droppings so if we want to encourage Koalas we need to clean up after our dogs. If you find any injured wildlife in the Brisbane area you can call the BCC Wildlife Ambulance – BCC Call Centre 3403 8888.